During the fox attack, when Barney was taken from us, Rusty was also injured. She was left with wounds around her tail feather and bum. I could tell she wasn’t in a good way. I kept an eye on her yesterday, half hoping she’d recover, half expecting her to die. This morning, when we let them out, she was visbly worse and had suffered a full prolapse. I don’t know if it was the wounds or the shock that caused it, or a complete coincidence. But I knew I couldn’t leave her like that. I called my local vet, Haydons Vetenary Centre in Bridport (http://www.haydonvets.com), and they fitted me in. 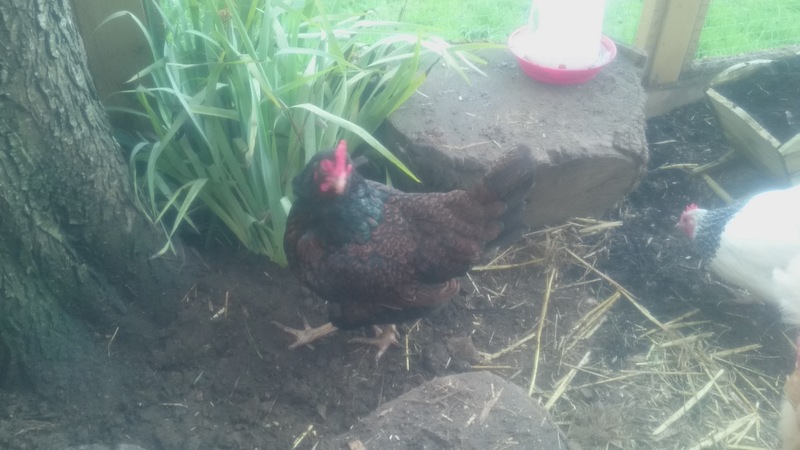 They are fantastic there, I’ve been taking my cat there for years, but it’s the first time I’ve visited with a chicken. Unfortunately it wasn’t good news for Rusty, the kindest thing was to put her to sleep. I said my goodbyes and left her there. It broke my heart. Many would say “it’s only a chicken”, but to me they are pets regardless of the type of animal. I take them on to love them, care for them and give them the best life possible. They are my children. Rusty was an ex-battery hen rescued and rehomed by Taylors Rehoming Centre in Dorchester (http://www.westdorsetrspca.org/taylors.htm). We got her and Violet ( known as the oven ready twins!) last October. 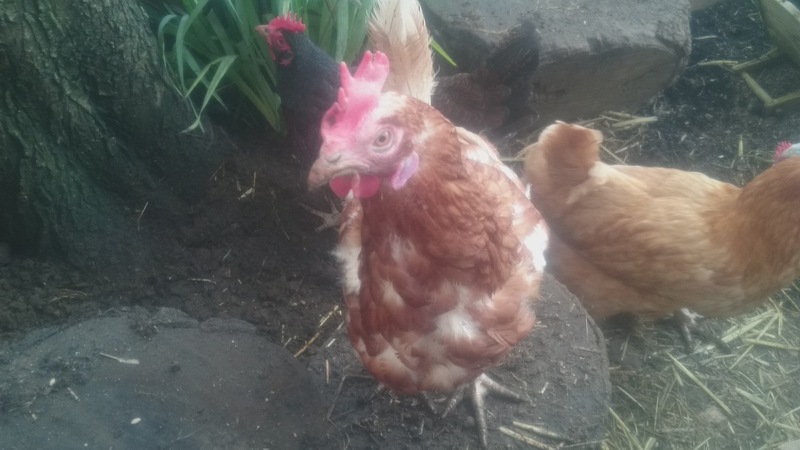 In that time Rusty has had a fantastic retirement, laid an egg every day without fail, had a fantastic character and became my favourite girl. I miss her already. But I know she had a good time here and I did what was best for her. Goodbye to my Rusty girl. This morning my husband went to let the girls out, it was 5:30am ish. He came running back in the house to get me. The girls were already out of their house and in their run when he’d got there. The door to the pen had been busted in, and Barney’s feathers were all over the lawn, leading to a hole that had been dug under the fence. Barney had gone, and a fox had taken her. The other 4 remained, but were very subdued. Further investigation showed that Rusty had also been injured, with tears along her tail and what looks like a prolapse. I spent all day cleaning the mess, keeping an eye on them and checking they didn’t curl up and die from shock. That can happen with chickens. It was mid day before I noticed that Violet was limping. There’s no sign of a wound, so I’m hoping it’s just a sprain. We’ve reinforced the pen, added extra bolts and latches. Burried a board under tbe bottom of the fence and secured it so the fox can’t dig under it again. But I’m still scared to go to bed tonight. Now the fox knows there’s chickens here, he’ll come back. The girls wouldn’t go to bed tonight. They were too scared to go back into their house. That broke me. That, and the fact that earlier in the day one of them still laid an egg despite everything. We caught each one and put them to bed. And now we wait. Wait to see if the fox comes back. Wait to see if Rusty makes it through the night. We’re lucky, foxes normally slaughter them all for fun. This one was hungry and took what he needed. But that doesn’t make it any easier. Yesterday they had a wonderful day, roaming the garden for the second time. Barney enjoyed mooching and digging in the flower beds, which I allowed because she looked happy. I’m glad they all had that time together. Goodbye Barney blackbird. You are missed. A big day for our girls! Yesterday was a big day for our girls, and for us! We let them out of their pen to free range in our garden. 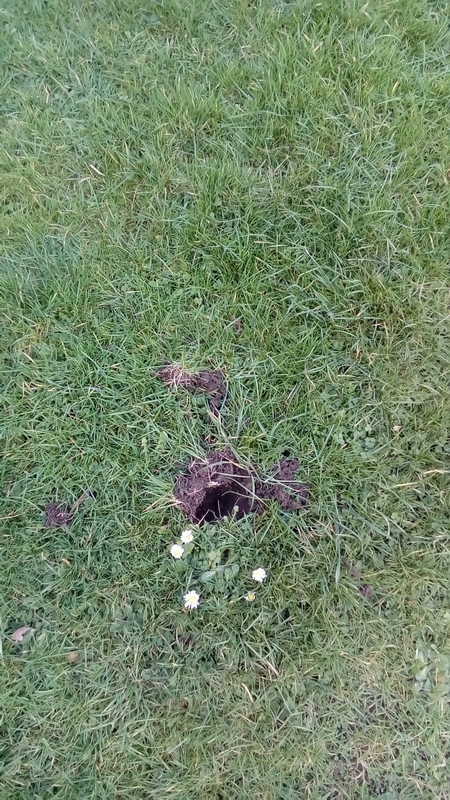 Before now our garden wasn’t secure. 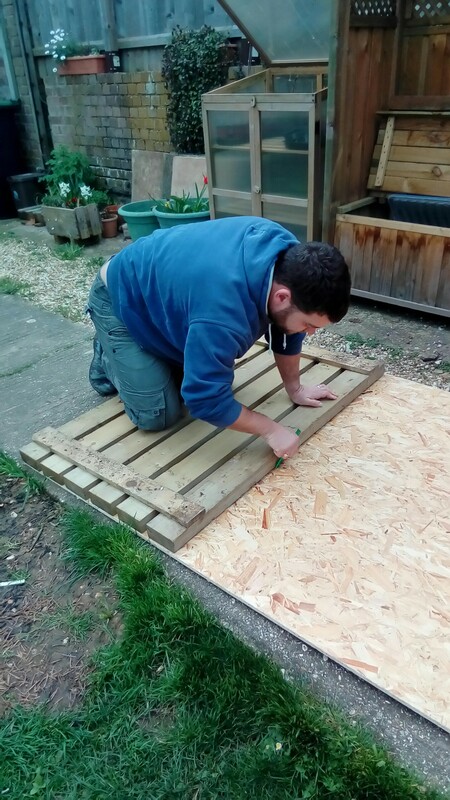 But now we’ve had our gates and fence installed, our only security risk is the hedge, which we’ve put pallets along to stop the chickens getting through. They weren’t very adventurous at all! They stayed by the door for a long time, enjoying digging in the bark. 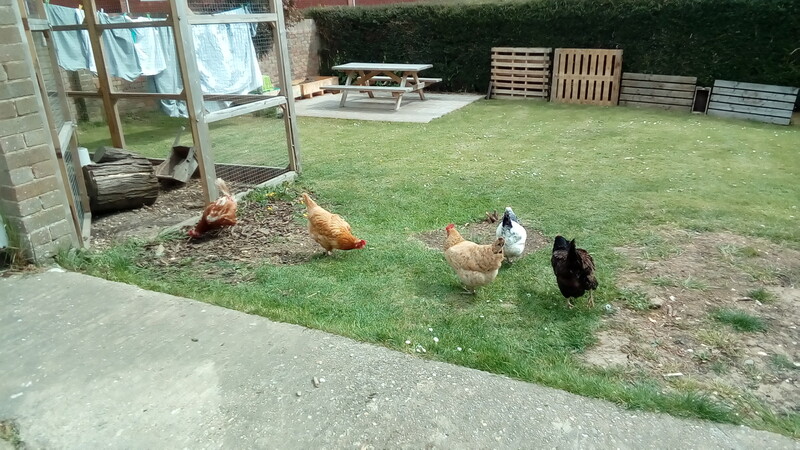 They ventured around the garden a little bit, in a group, and after around an hour or so they took themselves back into their pen for a dustbath and nap so we closed the door again. Enough excitement for one day! 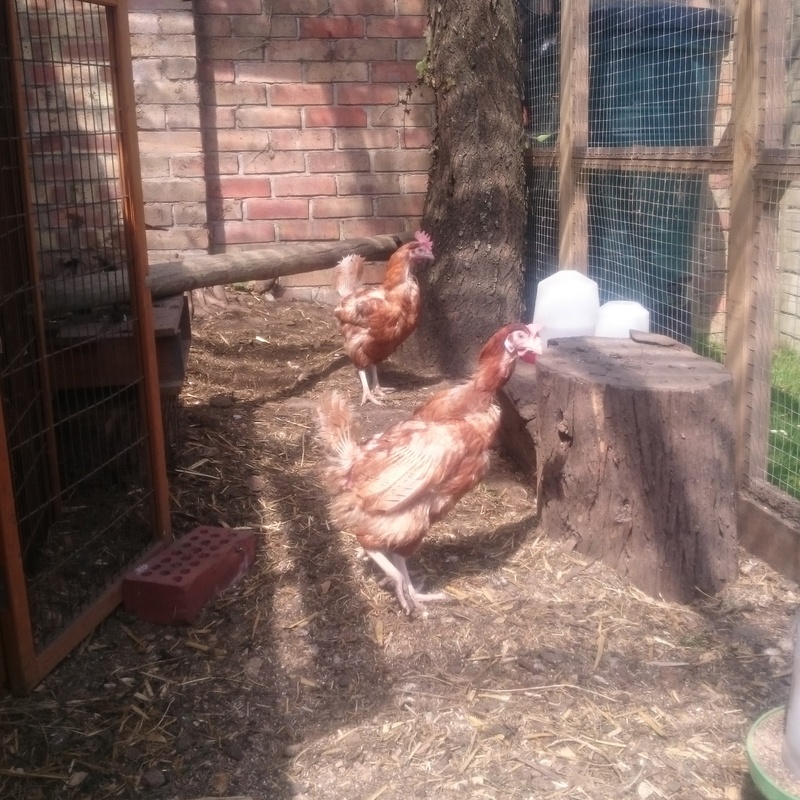 I had such a proud mummy moment letting my girls out, worrying if they’ll be ok and what they make of it all! Now we’ve done it once, we’ll do that every time we’re pottering around in the garden for a while. I’m not ready to leave them unsupervised yet, for their sake and my flower beds!! Plants grew from seed last spring, and mainly died in my garden in summer! Although they were much more successful in other gardens. It was my first year growing from seed though, so I’m counting it as a success that they grew in the first place! 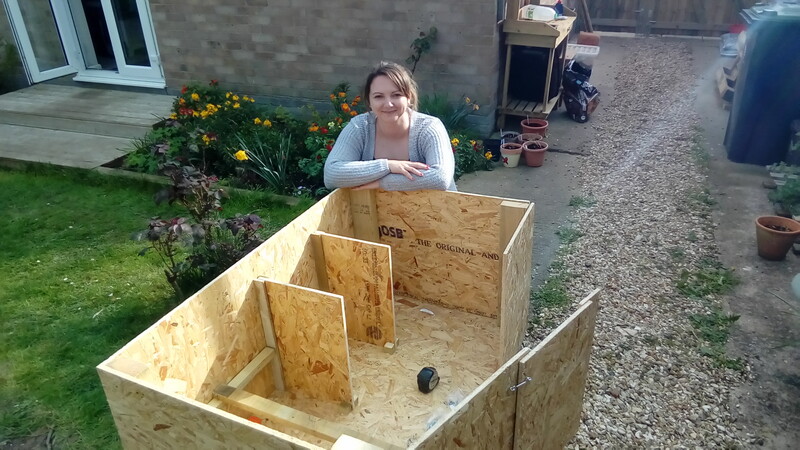 We improved our DIY skills, much to our amazement, and built a brilliant new home for our chickens. 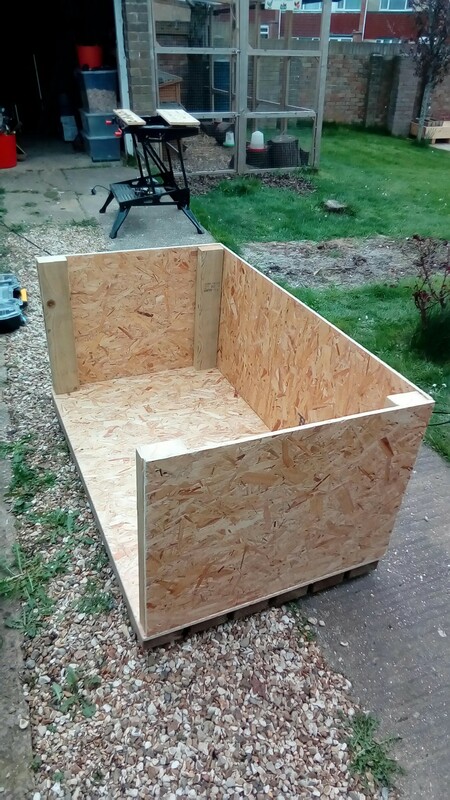 Luckily what we built last Easter has actually been perfect for the avian flu outbreak, as it is a fully enclosed pen, with roof. The girls love it. 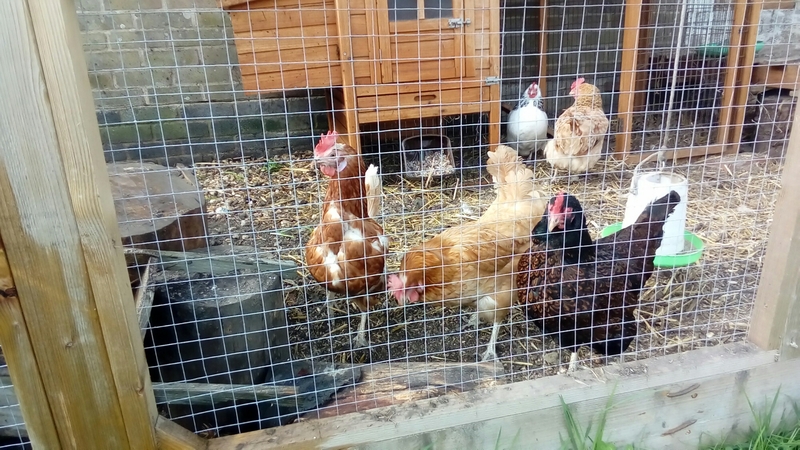 The sides are chicken wire so they are roaming outside in the fresh air, but with the safety of secure boundaries and a clear plastic roof so they don’t even have to get wet when it’s chucking it down with rain! 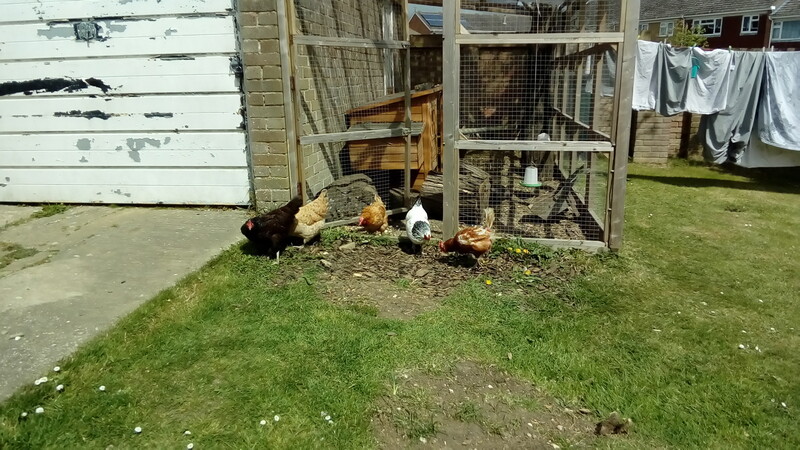 Over recent months we’ve adapted it to include more perches, and a gravel area as they were digging some seriously big pits… and on that subject, where does the soil go?! It seems to vanish and the pen looks like the surface of the moon! But they have great fun doing it, and they love a good dust bath in the moon craters! 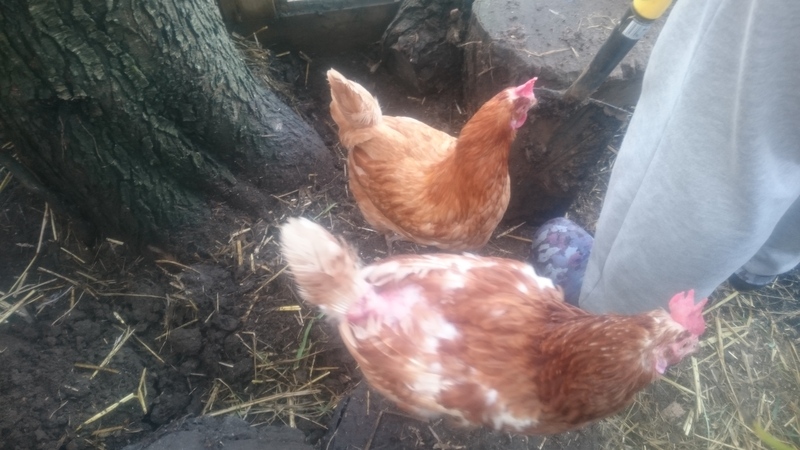 Talking of chickens, we gained two new rescue hens, Violet and Rusty, in October, which increased our flock to 5. Introducing them to the 3 posh birds was a two week slog of trying to stop them fighting and injuring eachother. At one point, I really didn’t think Violet would make it, but one morning they were suddenly getting on with eachother and they have been ever since. They really did have to establish their pecking order first though! 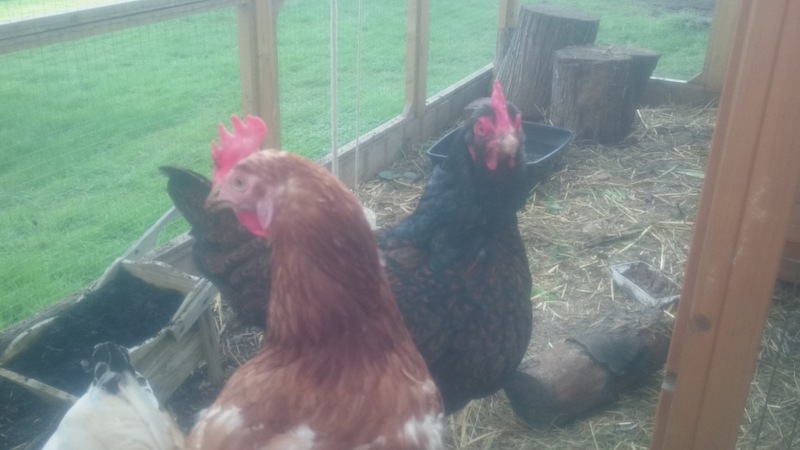 If I’m honest, the two new rescue hens are our favourites now. 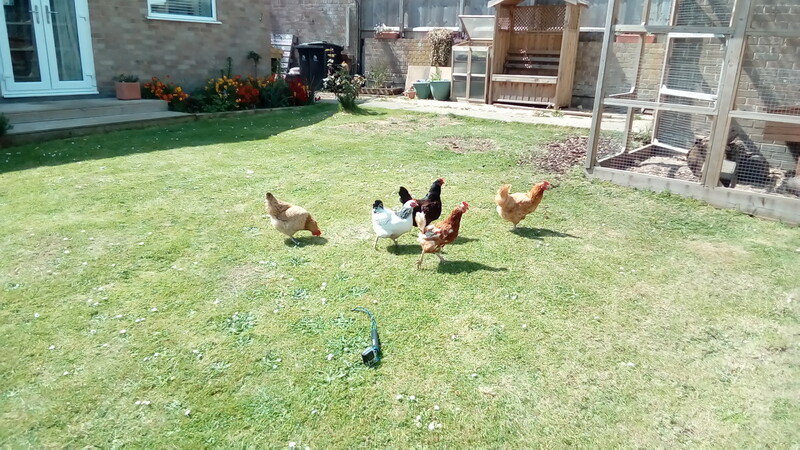 They have settled in so well and are much more friendly and I think grateful, because the life they have now is so much better than the caged battery hen life they had before. I feel proud to have given them a home, and can’t wait to get more and do it all again. Moving home. We’re still on the hunt for a new home which will give us more space, more land and less neighbours! We’re constantly searching, with alerts coming through from Rightmove (www.rightmove.co.uk) almost daily, but nothing quite fits our criteria. We’ve done “drive-bys” on potentials, but ruled them out because of location, busy roads, or neighbours being too close, or the fact that estate agents seem to be photography wizards making them look much bigger and better than they really are! We’ll keep searching, but it is frustrating and a little disheartening sometimes, as it feels we’ll never find the right place. We haven’t got a dog. My heart wants one right now, in fact, years ago, but my brain knows I need to be working less / at home more, and preferably in our new forever home (if we find it) first. Plus, I’m still not sure how our needy but very loved cat would cope with a dog, and he comes first (even before the husband). When I started this blog a year ago, I wasn’t sure if it would take off. Would I have enough to write about? Who would be interested in reading it? What if no one does? Probably the same questions as many think when starting to write a blog. However, I’m pleased to say the blog has started to take off in recent months, with many more visitors (thank you!) and people retweeting my blog posts on Twitter. I was very proud to see comments and retweets on Twitter from Country Smallholding Magazine, Mr Fothergills, and author Simon Dawson, to name a few. Rather exciting! Thank you to everyone for their support. Please do send in any comments you have and keep sharing my content! I’ve enjoyed writing more than I thought I would. Design has always been my main skill set, with writing second. But writing about something I’m passionate about has certainly made me more interested in writing, more so than design, a fact that I surprise myself with. Expect to see more posts from me. I’m aiming to do at least one a month this year. I hope to feature more recommendations and words of advice and some funny stories along the way too! 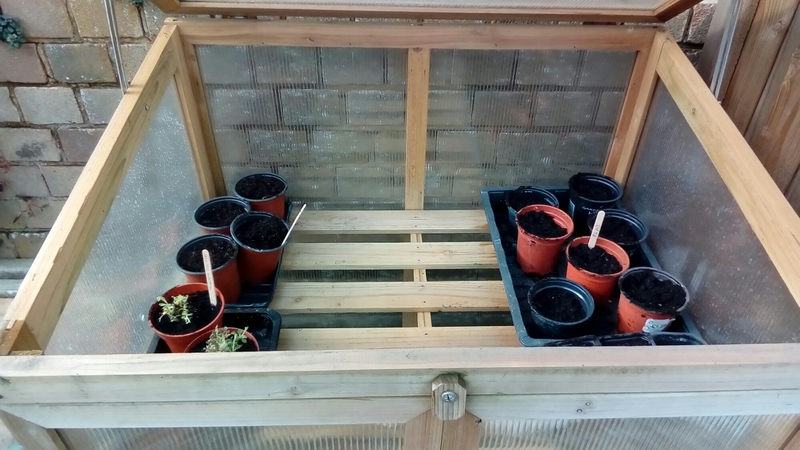 I’ve already bought more seeds that I could possibly grow in my garden this year, so I hope they are successful in growing, and you never know, they may even provide produce too if I’m lucky! The girls are already earning their keep, their egg sales pay for their food, as well as providing us with tasty eggs too. We don’t really have the space to increase our flock again this year, so we’ll just continue to keep our regular egg customers happy with a constant supply. And finally, the search for our new home will continue. Other than that, the rest of the year is a mystery to us all. Let’s see what it brings! 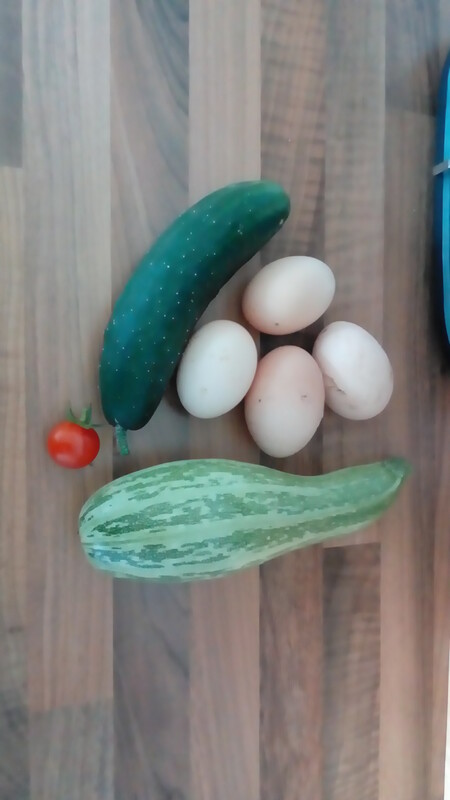 As you will know, my blog is about my journey to a smallholding. 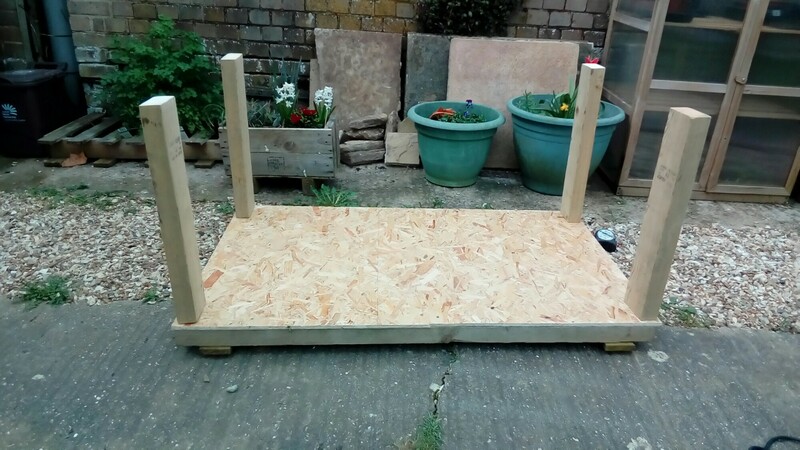 I’m not there yet, so I gather as much information as I can and try as much as possible in the space I have, while looking for that perfect smallholding (see previous posts, such as ‘Looking for a needle in a hay stack’. It’s a true story about how Simon Dawson went from being a London estate agent, to a self-sufficient smallholder in Exmoor. Whilst it was given to me so I could read someone else’s journey, so I could gather more information as to how it is done and how difficult it is, and this book certainly provides this information, it is also the funniest book I have read in a very long time. I read the book in a week, and that was me trying to make it last. I just couldn’t put it down. Every chapter is full of witty tales and surprises. It covered lots of areas. 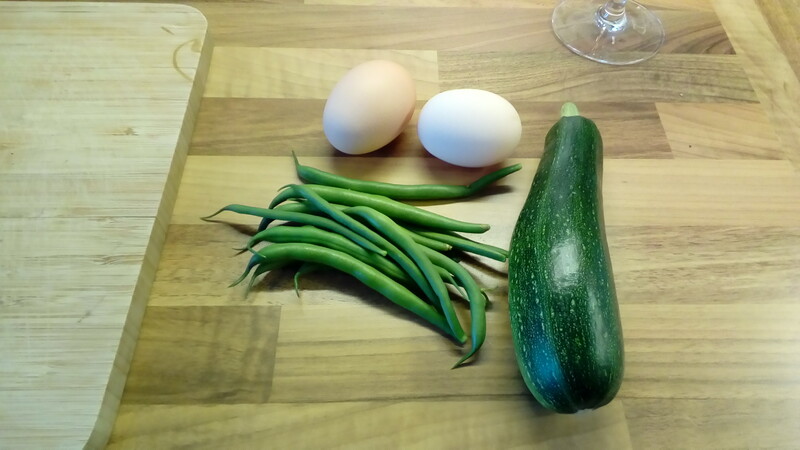 I hadn’t considered how poor we may be when we move to a smallholding. 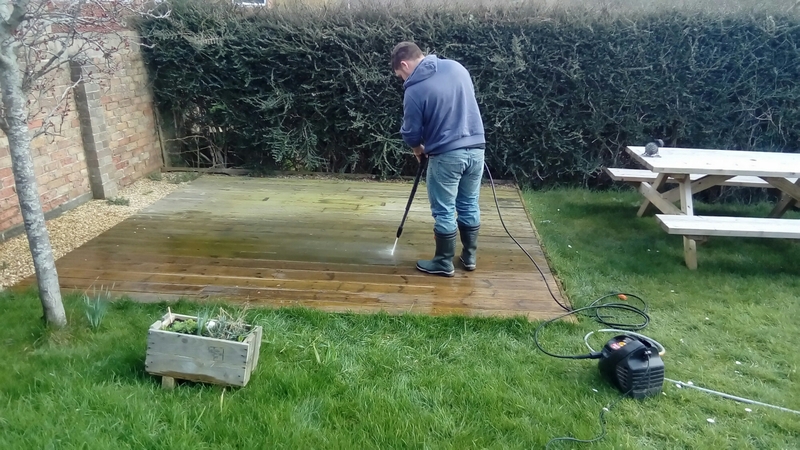 I have planned all the different business ventures we could have depending on the smallholding we purchase, but never really thought about how we’d cope before they are set up and successful. The book also covers death, I’ll admit I cried a bit. I haven’t had to deal with animals dying yet and I know I won’t be very good at that at all. I’m too soft. He also questions the food chain, and eating meat. Whilst I could never be vegetarian, I’m not sure how I’ll manage sending my animals (which I’m sure will end up as pets) to slaughter. I don’t want to give too much away about the book, so I’ll stop there. The back cover says: “So join Simon and his extended animal family on this laugh-out-loud rural adventure and learn what it takes to truly survive self-sufficiency.” And that’s exactly what you get from this book. I certainly learnt a lot from the book and it also gave me a lot to think about. But it was also highly entertaining. Whether you are like me, wanting to be a smallholder but not there yet, or already living the good life, I have to recommend this book. Such a fantastic read. He has a second book, The Sty’s The Limit, which I hope to get for my birthday next month.